World population reached seven billion in 2011 and Population Education debuted some new teaching activities to mark the occasion. 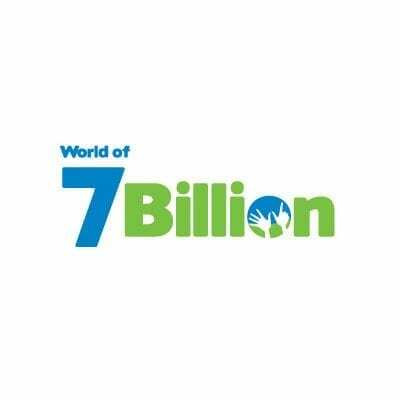 The World of 7 Billion website is home to many teacher-friendly activities, ideas of school-wide events, and the annual ‘World of 7 Billion’ student video contest. Resources are classroom-ready and will get your students to actively engage in some of today’s most pressing challenges such as feeding 10 billion, preventing pollution, and advancing women and girls. All of the lesson plans are correlated to the national content standards and Common Core State Standards. Visit World of 7 Billion now! 7 Billion: Where Do You Stand? (pdf) – Students articulate their thoughts about the ethical issues related to population reaching seven billion and consider the opinions of their classmates. Development in Motion (pdf) – Using the “trendalyzer” program from www.gapminder.org, students construct and interpret dynamic graphs and discuss differences in life expectancy, fertility rates, health, economics, and total population among several different countries. Moving Messages – Pop Videos (pdf) – Students write, film and edit a short video that connects human population growth to one other global challenge and offer their idea for a sustainable solution.